Wings Café is a perfect sized hole in the wall that offers many options for sauces and types of wings, especially the traditional mild buffalo, which is what I ordered when we stopped here. The service was very quick: order at the counter and the wings are brought out to the table. 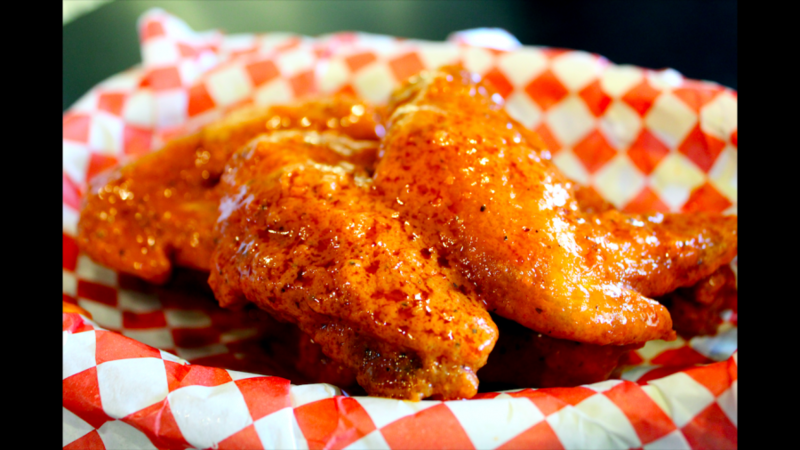 The wings, in a size small, had the perfect amount of sauce smothered on them, and had an impressive flavor, a perfect smoky buffalo. It has just the right amount of spiciness. The wings come in both shapes, some in the unique “wing style” like at the Hideout and some “chicken leg” drumstick style, which are easier to eat. 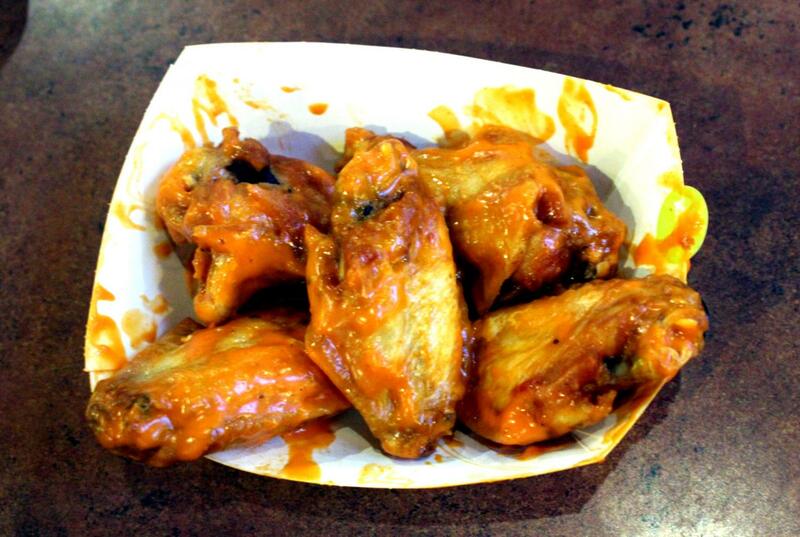 The combination of the two shapes of wings makes things messy when eating. They came with just the right amount of chicken on each wing, and they fall right off of the bone. 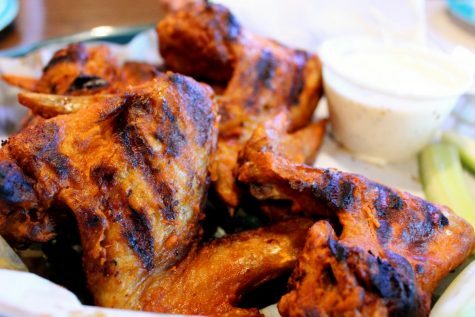 It costs $8.50 for six wings, making it one of the two least expensive wing places we tried. Serving wings with a near perfect flavor, Buffalo Wild Wings has many sizes and styles of wings that are available for order. Buffalo Wild Wings is a large chain bar and grill right off of Barry Road. We stopped here first and ordered snack-sized mild traditional wings. It took a while for the wings to come out after ordering, but it was definitely worth it. The price was a little high for the number of wings that come with the order, $7.58 for five. The flavor was impressive, a little bit spicy and very flavorful. The wings were really easy to eat, and although it was still messy, the restaurant provided packaged wipes for the end of the meal. At times the chicken was a bit chewy and hard to take apart and the skin too. There was almost too much sauce that it overpowered the chicken wing itself. For those looking for a casual sports bar that has numerous flavors available for wings, Buffalo Wild Wings may be the perfect place to go. Just be ready to get a bit messy. The chicken wings at the Hideout, a bar and grill off of North Oak in Gladstone, were interesting, with a little too much pepper and seasoning. It’s a casual restaurant that serves their chicken as whole wings, not drumsticks. According to the menu, the wings are charred and sauced, but it’s quite the opposite: there wasn’t much taste to the wings. The wings were very dry, with too little sauce on them. They had a lot of pepper and seasoning on the wings, making the taste very spicy, almost overwhelming. However, the quality of the chicken was perfect. The wing shape made it a bit hard to eat and made things quite messy. But, the style of the wings was very unique, and it’s clear that they were cooked to order, which may be why the service takes a while. The price is fairly reasonable, costing $1.75 for each wing, and there was a lot of chicken on each, so it was worth the price, although the strong spicy flavor of the wings wasn’t my favorite. 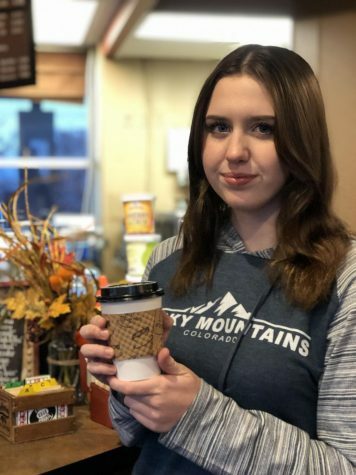 The Hideout was a pleasant casual restaurant with quality service that made for a good dining experience. WingStop put us on quite a scavenger hunt when trying to find it. It is part of a small strip mall and is a much smaller space than expected. 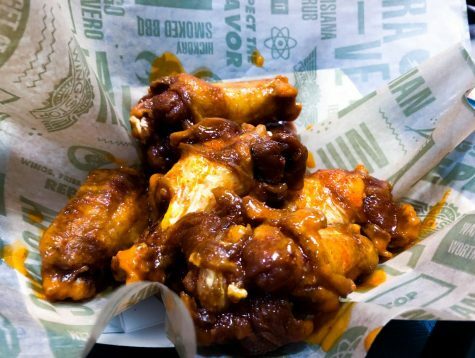 WingStop has more of a fast food atmosphere than the other three stops. It is open until 10 p.m. during the week, and there were a lot of customers when we were there, which was during the dinner rush. We ordered at the front as soon as we got there, and I ordered the small size traditional wings in the mild flavor. The service is slow, and we ended up waiting about 15 minutes before getting our food. The price is pretty high, but the wings also come with fries and a drink. The small order comes with six wings, each of them overly doused in mild sauce. But, the sauce is very greasy and oily, and none of it actually sticks to the chicken wing. The food came out a bit cold, which made it not so enjoyable to eat. The drumsticks are small, and there isn’t much meat on each wing. There seems to be more skin than actual meat. As for pricing, WingStop is the most expensive. It costs $11.04 for six drumsticks. Although WingStop is a well-known fast food joint that has several options for chicken wings, I do not recommend it if you are looking for unique, quality wings.